In partnership with the Port Washington School District’s Parents Council, Home School Associations and PTAs, the district organized a hurricane relief fundraiser to provide much-needed supplies to the Mobile Medical Unit to aid victims with long-term assistance. These collaborative efforts, which included collections through all seven Port schools, resulted in the collection of $9,137 for hurricane relief. In the aftermath of the devastation left behind in the Houston area by Hurricane Harvey, the district and its parent group partners organized these fundraising efforts for a two-week period during the month of September. Every district school accepted monetary donations via cash and checks from families, students and staff. All proceeds were sent to the Children’s Health Fund, a 501(c)3 organization, which will use the funds to equip the Mobile Medical Unit with supplies. Established in the wake of Hurricane Katrina, the Mobile Medical Unit was built nine years ago after the Port Washington School District community raised $250,000. Since then, it’s been serving children and families in crisis across the country. The unit is unique as it also provides mental health services to victims who have been traumatized in the wake of natural disasters. It is now being dispatched to areas affected by the recent hurricanes. In the past, it has also been present at various school district and community events around Port Washington. Guggenheim Elementary School Principal Barbara Giebel recalls being part of the administrative team when it discussed how to use the Katrina donations. At the time, former Guggenheim music teacher Vicki Fields brought the idea of contacting the Children’s Health Fund to Giebel, who in turn contacted the organization on behalf of the district. 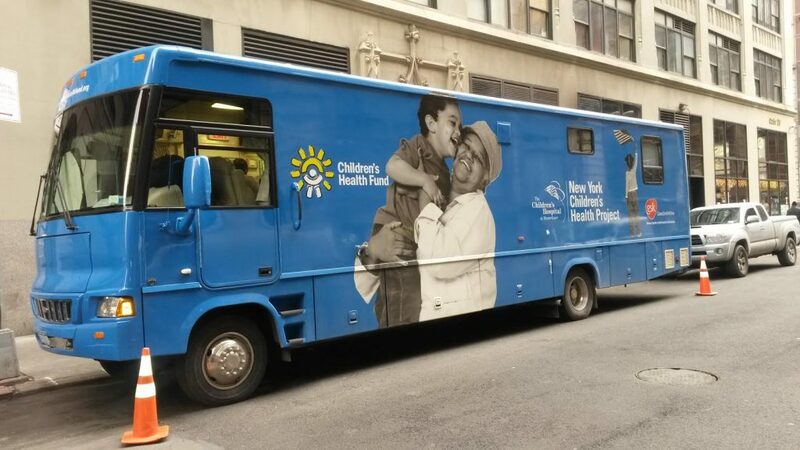 Former Daly Elementary School Principal Elaine Ajello, who previously taught at Guggenheim, was also instrumental in getting the initial fundraising for the Mobile Medical Unit off the ground. One unique quality of the unit that attracted school officials was its mental health component, which provides services to traumatized victims. Last month, a Sousa Elementary School student asked family and friends to make a donation to the district’s hurricane relief efforts in lieu of giving her birthday presents.